Tony Stark needs your help to stop the Mandarin! 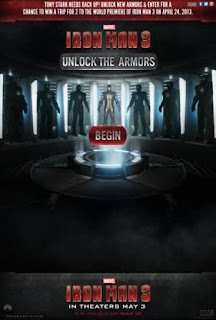 Answer trivia questions to unlock Tony's armor and send in the reinforcements for a chance to win a trip for two to the IRON MAN 3 world premiere in Los Angeles on April 24th! The sweepstakes started today and runs until this Wednesday! 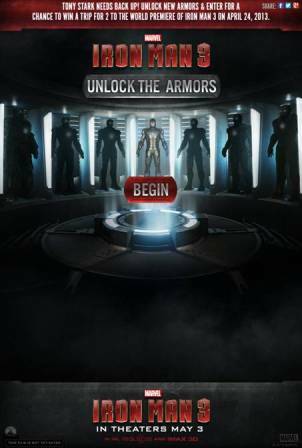 Each day fans can enter for a chance to win tickets and unlock two suits in Tony's armor. Visit Facebook.com/ironman or http://awe.sm/q0PyB for details!